Local Scouts help increase public awareness by installing inlet markers. Texas operators of small Municipal Separate Storm Sewer Systems (MS4s) that discharge storm water into waters of the United States are required to develop and implement a Storm Water Management Program (SWMP) and apply to the Texas Commission on Environmental Quality (TCEQ) for a storm water discharge permit. Willow Fork Drainage District and the Cinco Municipal Utility Districts (MUDs) 2, 3 5, 6, 7, 8, 9, 10, 12, and 14 in its boundaries are small MS4 operators covered by the Texas Pollutant Discharge Elimination System General under Permit No. TXR040000. As the administrator, WFDD annually prepares the SWMP, which is designed to address storm water quality management issues typical of a developed residential community. The SWMP is developed to prevent pollution in storm water and effectively prohibit illicit discharges to the system, such as dumping of materials, chemicals, yard debris, and other pollutants down storm drains. 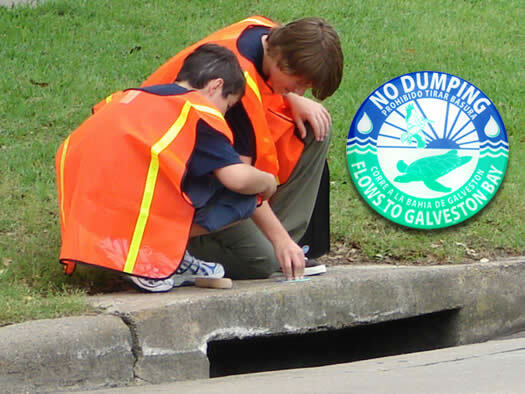 Putting anything into the storm drain system is against Texas Law and subject to fines up to $5,000 for each offense. Please call the District’s drainage operator, Inframark, at 832-886-0616 to report offenders. The above mentioned links are provided as the District believes they may be useful or of interest to residents. The District does not control their content, make any effort to independently verify their accuracy, or make representations or warranties as to their accuracy. See Legal Notices.